The School Food Tour plus two! 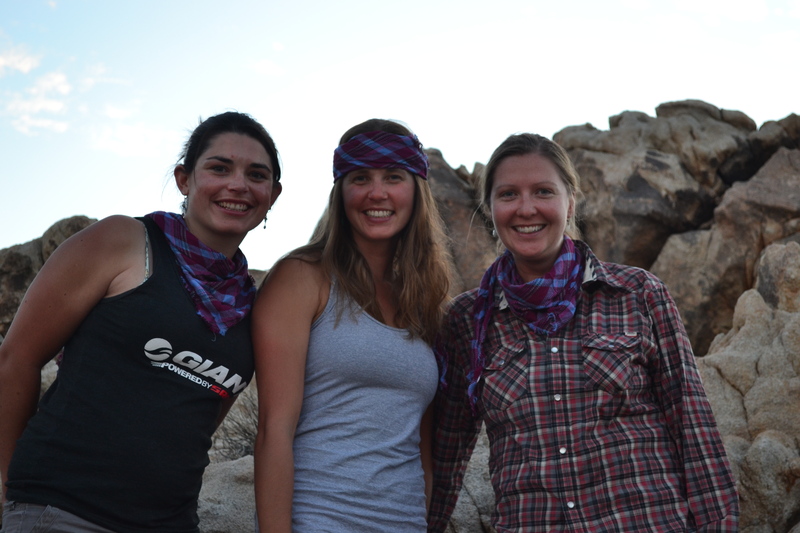 Last week I was lucky to have two wonderful friends along for 5 days of SFT riding through the Arizona desert. 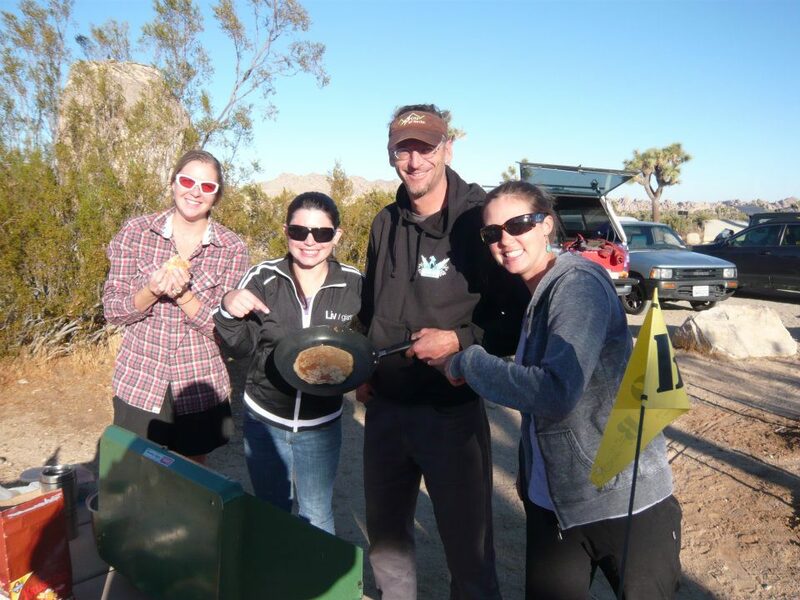 Felice and Brenna have supported the idea of the SFT from its inception and they were both able to squeeze a quick road trip into their busy lives. 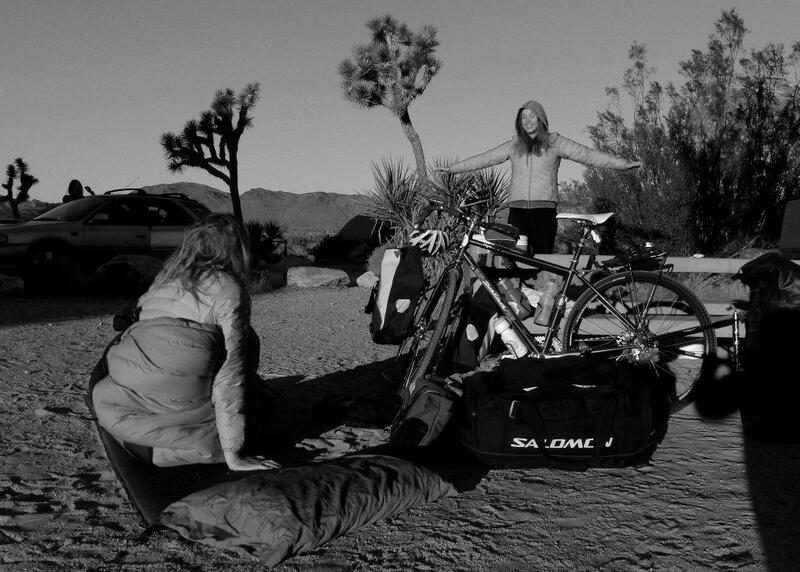 The goal was to meet in Joshua Tree and then head east across the desert to Phoenix where Brenna could catch a flight back to Oregon. 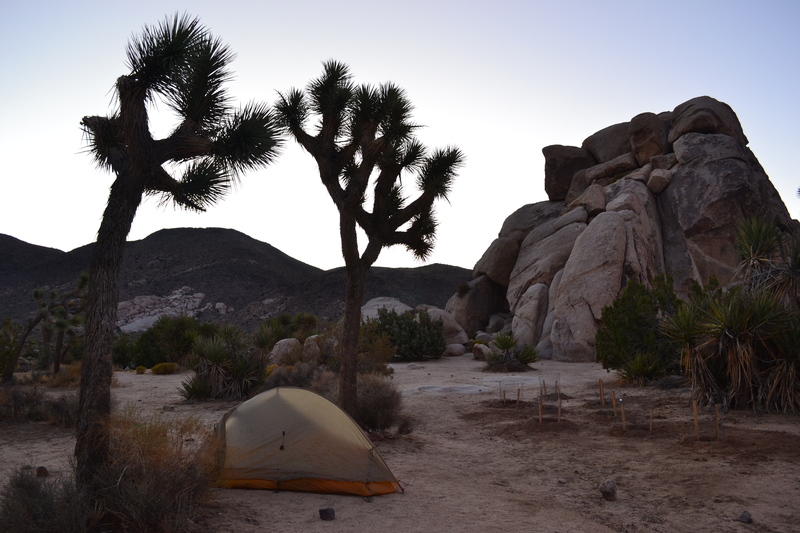 We hadn’t done a ton of planning – the only details I gave them were a solid date to arrive and vague directions to a campsite. However, knowing that they were both extremely intelligent girls, I was confident that they would track me down and be ready to ride on the designated morning. 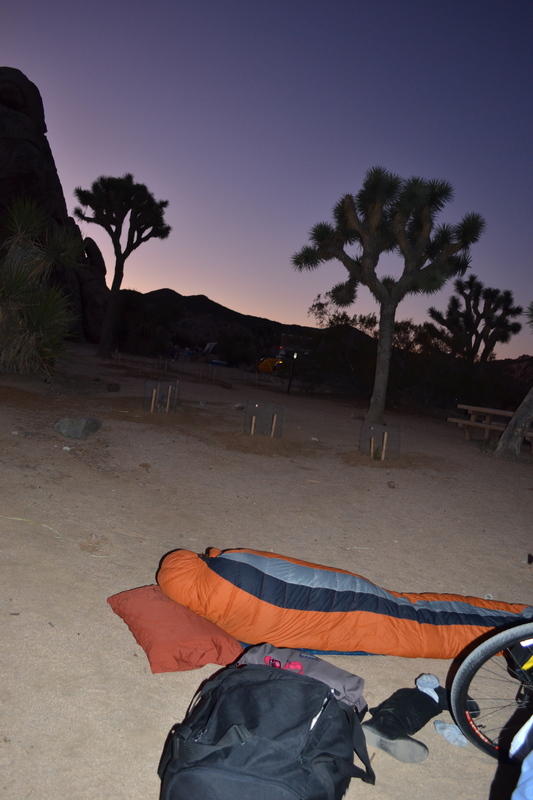 Sure enough, I opened my tent the next day to a beautiful sunrise and the sight of Brenna, curled up next to my bike and trailer. A nighttime arrival makes the sunrise even more spectacular! Brenna snuggled up next to my bike... "I knew you would return here eventually!" she said. After a multiple cups of tea, lots of catching up and a delicious breakfast of whole wheat pancakes with homemade canned peaches courtesy of my dear friend Ben, Brenna and I hit the road on our bikes while Felice took the first turn at driving support. Delicious pancakes by our favorite Chef Ben = happy girls! Brenna and I roll out of camp. 50 miles later we arrived at our first camp of the trip. A small outcropping of rocks provided perfect shelter from the sun and a privacy from the nearby highway. We ate a yummy but healthy dinner, goofed around with our cameras, listened to an episode of Radiolab and it was time for bed. Happily standing at the stove for dinner duty! We soon settled into a routine. Up early, steel cut oats for brekkie, pack lunches, fill water bottles, load the car and roll out for the day. 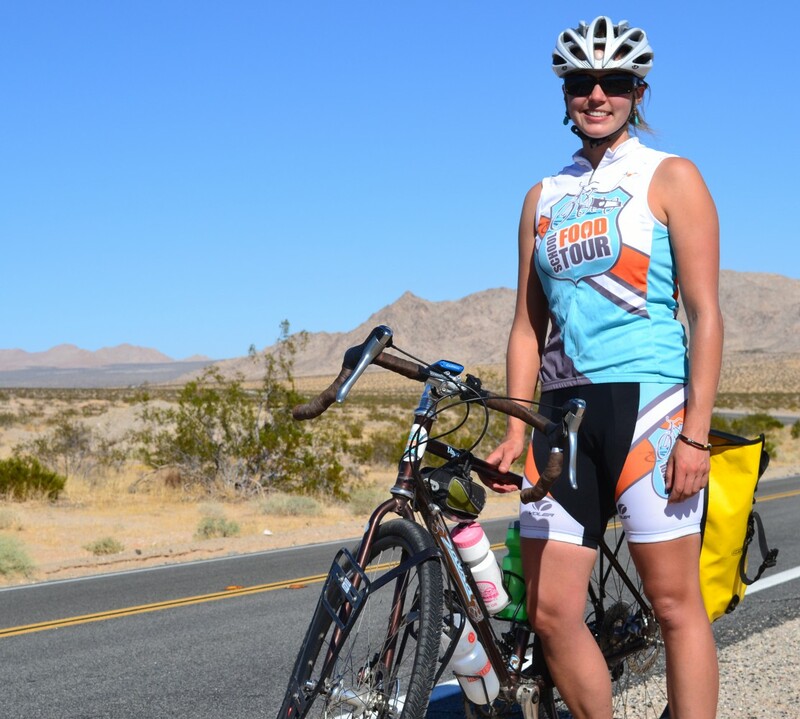 Either Felice or Brenna would drive ahead to scout camping and resupply food and water while myself and the other would start pedaling. 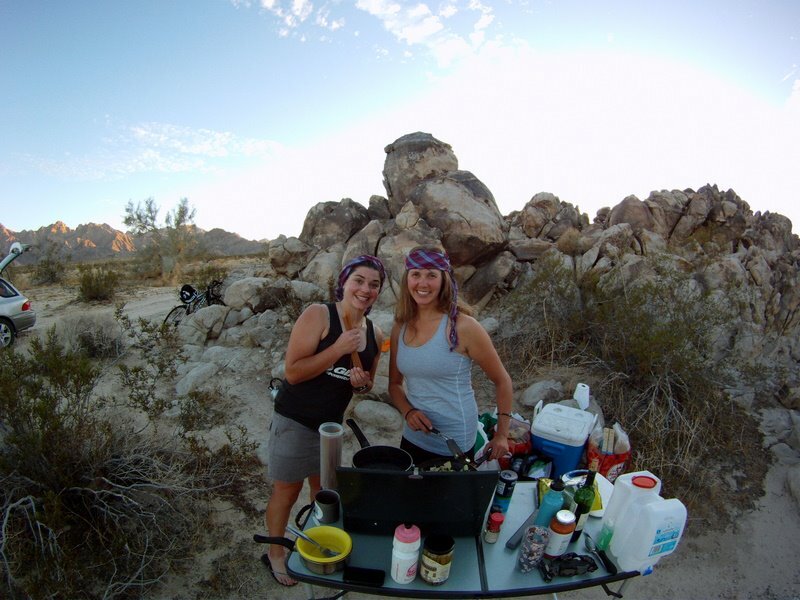 Once the person running support had everything settled at our day’s destination she would hop on her bike and ride out to meet us; each day ended with three happy but tired girls giggling around a Coleman stove amidst cacti and dust clouds. After nights in Parker, Hope & Wickenburg, we safely rolled into Phoenix 4.5 days later, much in need of a shower and some time away from the sun. I can’t tell you how special it was to share this experience with two dear friends. Their companionship and support was and continues to be priceless. Stay tuned for the girls’ perspectives on School Food Tour life – they will both be writing guest blog posts very soon!